Hey, how’s it going everyone? This is Chris from StrategyBeam, and today we’re going to take a look at how to utilize SEO marketing and PPC management strategies together to help your business to gain a better online presence. The first thing we want to do is look at the differences and the strengths of SEO and PPC marketing strategies and how you can use them to help out your company. So here we have just a primary way out of an overview of SEO and PPC. The benefits of SEO is that it has higher conversion rates, meaning that since people are looking for a specific search query and your content shows up. More people tend to click on those results and then from that people tend to convert more as well. That’s just a generality that might change depending on your industry. Customer needs, User Intent, and other factors drive this trend for most of your online audience. SEO is a long-term ROI strategy, meaning it usually takes about three most, but likely six to nine months for an SEO strategy to take place. There are a lot more variables that go into it such as how Google algorithm updates and other things of that nature of SEO is that it. It takes more resources because you have to create content, an intentional content that gets found by search engines and read by people, and this means that it can be slower, so you didn’t. You do need to plan about three months in advance and then create content. We did a video about seasonal SEO and that kind of ties into that and also it can be a little bit harder to track organic SEO. There are many paid and free online marketing tools for small business owners. Some of the best ones to help your SEO marketing strategy are Ahrefs, SEMrush, and some other SERP tracking tools that are out there and they’re all excellent. However, all of these tools rely on third-party data and all of these tools are incomplete data that can be a little bit off compared to what they rank in real life. This is why PPC marketing can be an effective part of your online small business marketing strategy, so let’s take a look at PPC management for your business. The benefits of PPC is that it’s easy and quick to launch. You can get a campaign up and run in a couple of hours as long as you have the funds in the creative ready to go and also you can draw in a lot more qualified traffic. This is because you control almost all aspects of the message, delivery, and your audience when you leverage PPC marketing. With PPC, you have a lot more control over where your ads are showing who you are, either showing two things of that nature, but you do pay for that amount of power. Since people are searching for specific things and you’ve identified that you want to appear for. Since you can focus on specific keywords and adjust your bidding strategy around your target audience, it’s a lot easier to get qualified traffic. The drawbacks of PPC is that you can have lower Click-Through Rate compared to Organic SEO traffic. This means that when people click on a paid ad, they tend to have a lower conversion rate overall. CTR is good for a PPC campaign and it can be expensive, depending on your industry and what keywords you’re going after. After a while, people can develop ad blindness. This is where they don’t see your ads, and that could be naturally a drawback for PPC as you’re trying to increase impressions and also increase CTR. Ad blindness can be a serious issue for PPC management, because it can reduce the effectiveness of your paid advertising and hurt your budget. We’ve gone over how to create fantastic PPC ads, keep a link down below in the description for you, uh, and those can help with improving CTR or making it less expensive. Now we’re going to look at how PPC can influence SEO marketing and how SEO can influence your PPC marketing strategies. So the first thing we’re going look at is how PPC can share data with your SEO strategy. 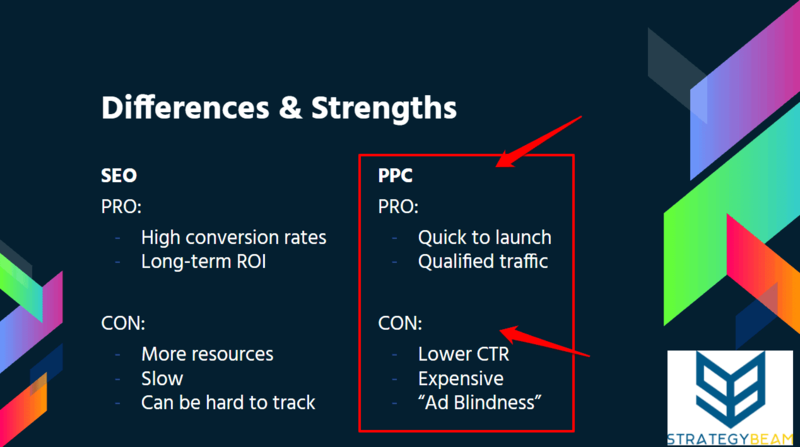 As we looked at in the previous slide is that in general, PPC campaigns are easy to set up, and your business can get PPC marketing going pretty quick. Using this marketing tactic is a great way to test ad copy for the highest Click-Through Rate. If you’re debating on how to position your product and easy way to go about this is to throw fifty or a hundred dollars into a campaign and then test out different ad copy. Then, take the winning ad copy, the highest click-through rate, and use on your website since you’ve already verified that are validated that that copy is a does resonate with your target audience, and you could do that as well with the page title. So you have description wanted two on your PPC ads and if you’re ever debating odd, you know how to title a page, you could go ahead and use your click-through rate content based on PPC. The author of The Four Hour Work Week tested the name of the book through PPC marketing strategies that we are talking about today. He didn’t know what he wanted to name his book, so he ran it through multiple PPC ads, and the winning ad copy is how he got to The Four Hour Work Week. PPC marketing is an easy way to test what kind of messaging is best for your product and your target market. So this is just one example of how to share PPC data with that research that we were just talking about. Writing great online content for your customers starts with knowing how to write content for mobile devices. 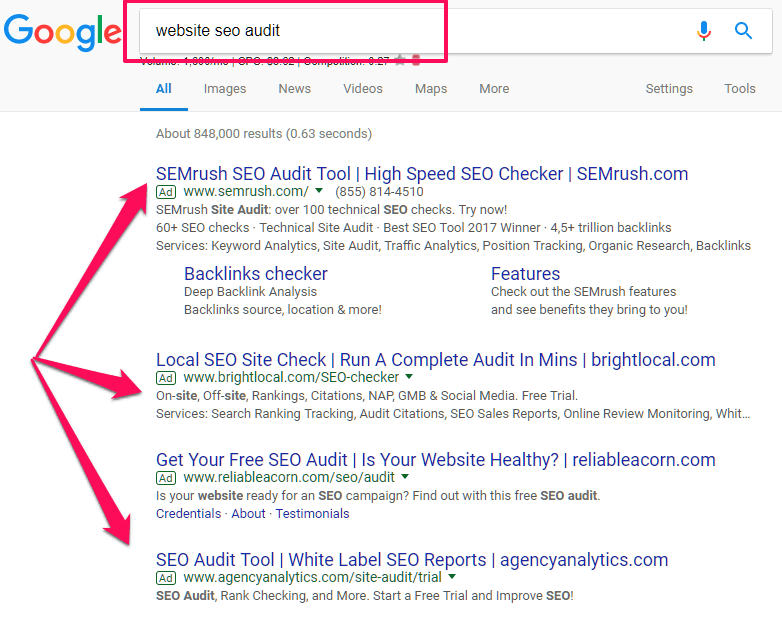 Let’s say you wanted to start ranking for website SEO Audit. You could type that into Google, and we see that these are the ones that tend to stick out most as an end consumer. Now, if you use SEMrush or you were bringing local, or you were reliable traffic or agency analytics on your end, you’re going to have multiple campaigns running in each battle probably. Is likely going to have different ad copy so you can test separate ad copy for your PPC and then the winning drive or the winning messages you’ll use on other channels such as Facebook or your website. You can use this data to conduct a holistic website audit across your site to find opportunities to improve the message and Customer Journey. Be sure to refer to all PPC marketing data at your disposal to build the best insight on ways to improve your marketing strategies. How Does SEO Marketing Data Help PPC Marketing Strategy? Then the next part is how do you share SEO data to improve your PPC marketing? PPC marketing is good because it has a lot of options and you could get into the weeds about details, but some things are best left with organic SEO. With Organic SEO copywriting strategies, you can use tools like Google Analytics or Google search console to kind of add a different layer of context to your data. One way I like to do that with SEO marketing strategies is that Google Analytics to review demographics and specific keywords that people are looking for and use that as kind of a baseline. If I wanted to expand a campaign or create a different ad group, that, that’s just one way to validate that assumption. You can also share organic keywords with PPC ads to help you make better content for your blog based on the PPC ads that you are also running. So if you know it’s working, if something’s working in Organic SEO, you can test it out in PPC marketing to see if you can boost engagement and drive more qualified leads to your site. To see a little bit more in line with what people are searching for because Google AdWords gives you more insight into search queries, then Google Analytics does. And also you could find keyword ideas from your SEO tracking. As you understand what keywords are ranking for and SERPs, you could try to expand on that and do different tactics with improving your online visibility. 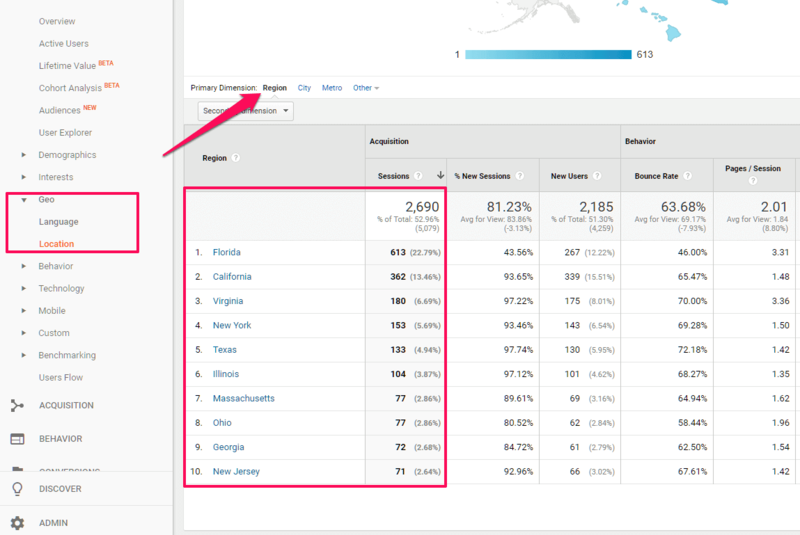 This is just one example of how to use Google Analytics. So if you’re just launching a PPC campaign, but you’ve had your website running for a little bit, you can look at Google Analytics and see what regions your, your feet markets are. That’s where the most people are coming to your site. And you can assume that that’s going to be the same for PPC. Now, that’s not always a correct assumption, but if you’re just looking to preserve your spend and improve the quality score of your ads, starting with Google Analytics. Looking at different dimensions such as region or you know, looking at demographics or even behavior and technology can help you understand if, how you should adjust your bid for those specific elements. We’re just going to go over some necessary conclusions and just an overview of what we’ve learned here. 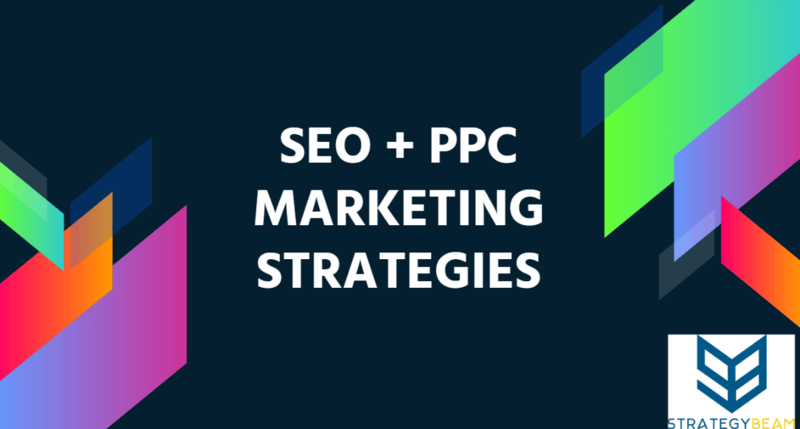 So primary findings are that marketing unites different channels and as part of this, you need to combine your PPC management and SEO marketing campaigns. You shouldn’t be operating your SEO marketing strategy and PPC marketing strategy in silos, because you’re spending money on SEO for content and publishing and you’re also spending money on PPC for each click that you give it to Google. So with both of those, you always want your content to be as relevant and interesting and valuable as possible. Sharing content between the two and in implementing information and data that you’ve learned on the organic SEO side and the PPC side to help each other out will help you, your overall company. SEO is a long-term strategy. If you’re getting into the organic SEO game, don’t expect it to make a big difference. I’ve seen changes in my own SERPs rankings in as little time as only a week, but that was with a lot of time and very intentional growth. And also I had a pretty significant backlog of content that I could change and optimize. Whereas PPC is very flexible and immediate, you do pay for those benefits, but you could use PPC to test out your value proposition before you go and spend $30,000. Content to validate that that’s a need for your audience and both SEO and PPC are great for finding keywords, PPC, especially. You could see the exact search queries that people look for when you’re at appeared so you can start to understand what people are looking for. These are some great tools that you can use to find valuable keywords to use in your PPC and SEO campaigns. By looking at the entire customer experience online, you can start optimizing content for PPC and SEO. This will help you receive the most benefit from each channel. Like we talked about just a little bit ago is that your business can not run your SEO marketing or PPC marketing strategies in a silo. These two online marketing strategies have to work together, and they can both inform you of what your audience is looking for. So there you have it guys. We just went over how to use SEO and PPC data together to help improve your overall marketing strategy. You can go ahead and use this to rank higher and improve your rankings and then also get more money for your business. If you found this helpful, please, please leave a like comment and subscribe below and also tell your friend because that helped your friends because that helps us out until we talk. Next time we look forward to speaking with you and get out there and rank and make some money!